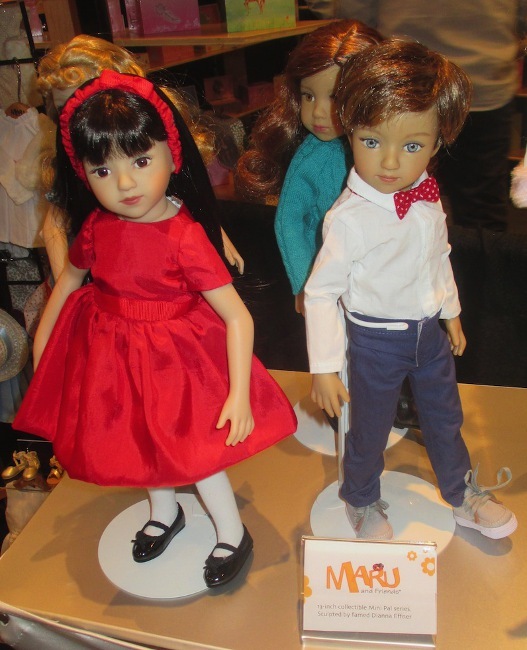 The sights and sounds of Toy Fair 2018 were abuzz with baby dolls, fashion dolls, licensed characters, and beloved pop-culture icons. Held at the Javits Center from February 17 through February 20, the Presidents’ Day long weekend was a celebration of creativity and ingenuity. Dolls of all sizes, ages, and ethnicities took center stage, and the results were exhilarating. 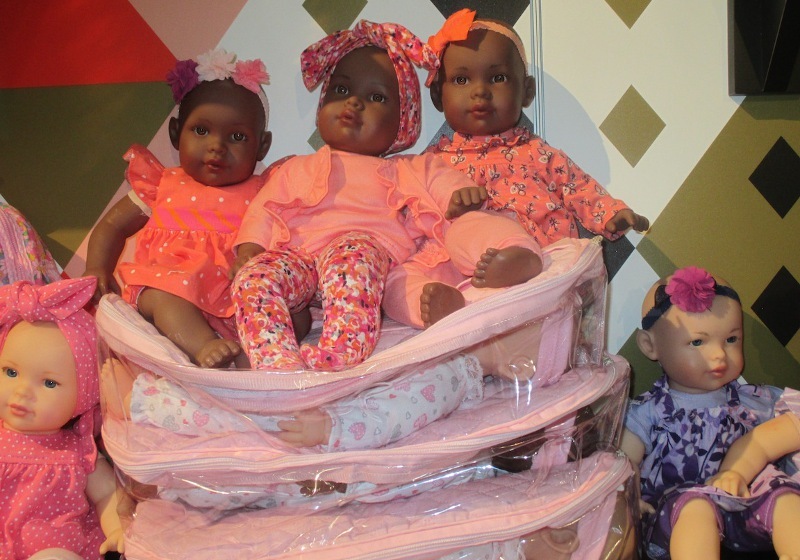 Many of the cutest dolls found at Javits this year were testaments to tots and toddlers. 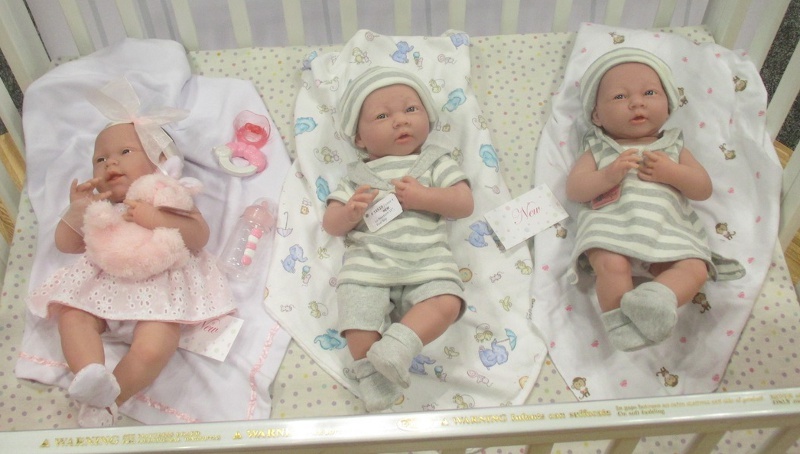 Baby dolls were omnipresent, and the adorable newborns were especially sweet at JC Toys. The latest infant dolls were extremely lifelike, causing many a Toy Fair visitor to stop in her tracks. 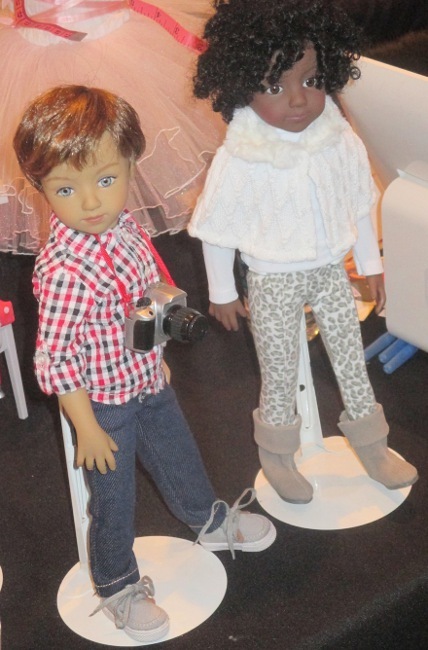 Whereas Javits Center used to be a no-go zone for juveniles — nowadays, kids can attend if they are YouTube or social media influencers — the spotting of realistic-looking dolls is still jaw-dropping fun. It is amusing to see a hurried, harried attendee rushing for the next booth appointment, and then — pow! She stops and does an about-face to see if that adorable face is vinyl, resin, or an actual baby’s visage. Passing for real was a real pastime for the doll manufacturers that displayed at Javits. Special attention was given to the exhibited dolls so that they appeared lifelike in their sculpting, hairstyling, clothing choices, and accessories. 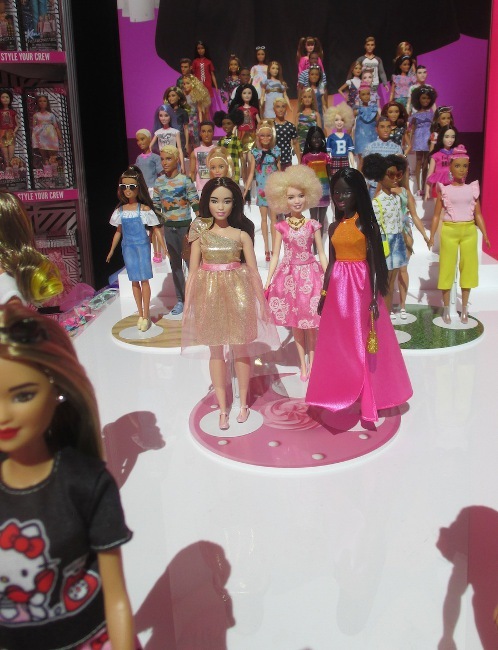 It was quite impressive how so many of the new dolls for 2018 were decked out in outfits that would be right at home in your closet or in the closet of your daughter or grandchild. (Truth be told, though, there is hardly any generational distinction in wardrobes anymore. Kids are dressing more and more sophisticated and adult; adults are dressing more and more youthful and kid-like.) I saw so many ensembles at Javits that I would love to have grabbed off the dolls and tried on for my own satisfaction. That is, of course, if I shrunk down by four feet and shed 100 pounds! At the Tonner Booth, the blending of realism and fashion were front and center. A new line of clothing that celebrates the oversized knitwear of fashion designer Ryan Roche was definitely eye-grabbing. Roche is known for her simplistic yet elegant creations. Her clothing is a favorite for A-list celebrities like Julianne Moore, Maggie Gyllenhaal, Jaime King, and Kendall Jenner. The palette for the designs is a muted and calming one. Everything is delicate, natural, and appears to be the type of garment worn by “earth mothers” and women who want to shop responsibly and mindfully. The Ryan Roche clothing is a line that celebrates sustainability and serenity. The Tonner dolls definitely capture that. 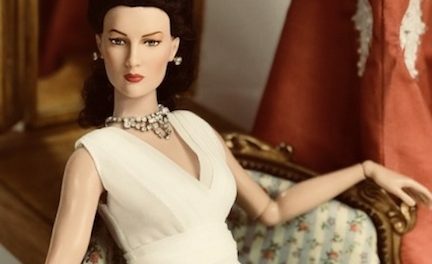 This doll captures the aura of Julianne Moore, a Roche admirer. The Fair Trade appearance of the Roche clothing is completely at odds with the Wonder Woman wardrobe that was also quite the focus at Tonner’s display. While Ryan Roche’s women’s designs are subtle and textural, the clothing for Diana Price, aka Wonder Woman, is bold, colorful, and formfitting. Roche’s outfits flow like a river. Wonder Woman’s clothing is like a lightning bolt from above. It is quite remarkable that Robert Tonner and his company is able to juggle these very different mind-frames. Besides the veteran doll artist Tonner, Toy Fair also welcomed back premier doll artist Dianna Effner. The award-winning sculptor has created the dolls for an exciting line of doll friends. These multicultural, multiethnic dolls are a lovely tribute to America’s mosaic landscape. They are a salute to kids who are different from one another, but are united in their friendship, admiration, and appreciation for each other’s personalities. In the world of Maru and Friends, a young Latina immigrates to the United States with her family in search of a better life. In her new homeland, she discovers American kids who have much in common with her, and who also have much to learn from her. In this backstory developed by businesswoman Maritza Gutierrez, the deep affection shared among these fictional children is something we should try to emulate in our own lives, in our own schools. At Toy Fair 2018, the newest 13-inch designs were debuted along with the larger 20-inch versions. 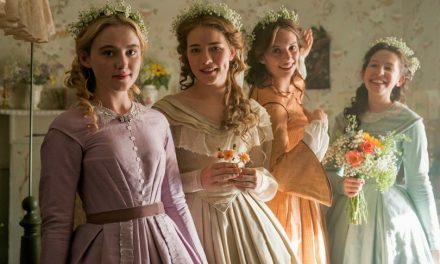 Each of the characters is facially lifelike, and their expressions and attitudes are spot-on for actual middle-school students. It is a refreshing and wholesome line of dolls, which I hope goes on to have great success. The lesson of cooperation, appreciation, and empathy is needed now more than ever. 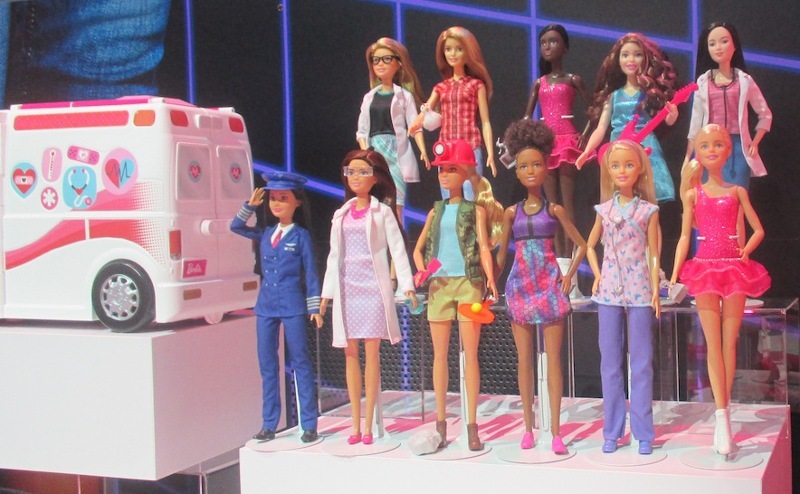 Mattel’s Barbie line continues to spearhead that feeling of acceptance. 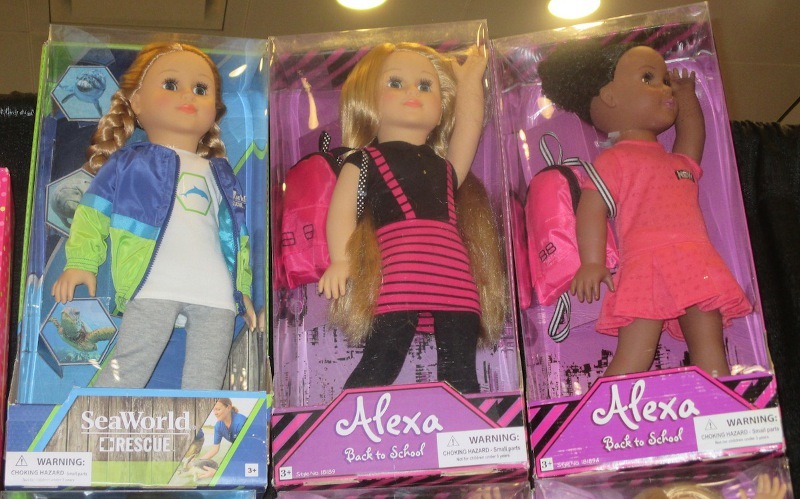 Their Fashionista line continues to expand its foray into dolls that look more like America and Americans. Dolls of different heights, weights, complexions, and hairstyles try to mirror how the United States looks. We’re not all cookie-cutter runway models. Some of us are really into baking, consuming, and sharing our homemade cookies with ourselves, our friends, and our family. 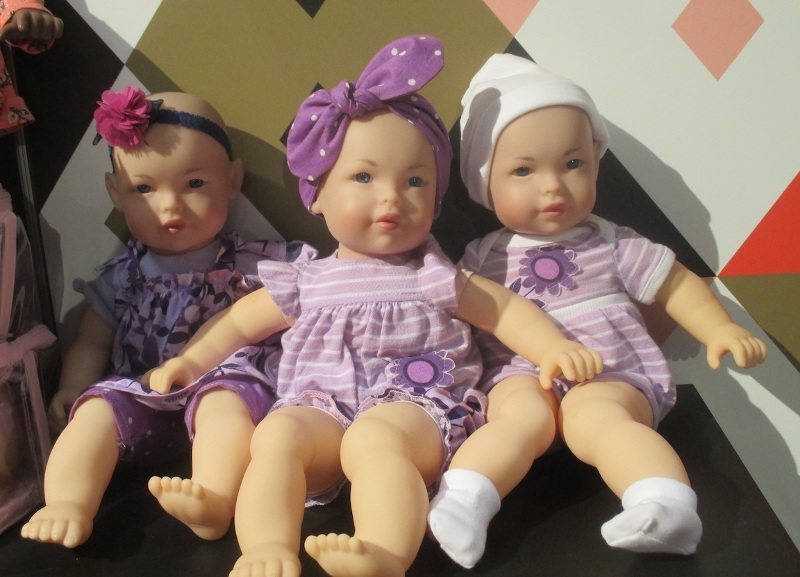 The dolls of Toy Fair 2018 are a plethora of different personalities, attitudes, backgrounds, occupations, and storylines. What they have in common is a connection to adult collectors and children alike. These are dolls that come alive because their owners love them, care for them, and need them. Dolls truly are the mirror of the person who adores them. Come back again for another look at the booths that defined Toy Fair 2018. We’ll investigate Mattel, Tonner, and some independent up-and-comers, too! It’s a chance to say hi to some stalwart companies that have been around for a half-century or more (hello, Lovee dolls! ), as well as some that are just starting to make their strides in the doll world. See you next week! PreviousChloe Kim wins Olympic Gold! Will she earn a doll? 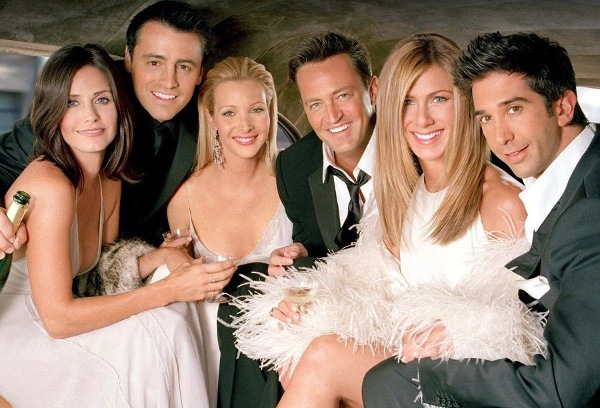 The “Friends” View of Dolls: Are you Monica, Phoebe, or Rachel?